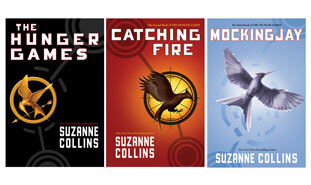 Last week I finished reading the Mockingjay which is 3rd book in the series and many thoughts bubble in my head. I like to reflect back on books and movies so I thought I will share my reflections with you guys. If you haven’t read the books please don’t read any further as this review contains spoilers. First of all I think that the books were very well written. I had a very good understanding of Panem as a country, how it looked and functioned. Everything that happened in the book was well described and explained. Author jumps into the past the way that makes us want to learn why things are what they are any people act how they act. Characters in the books are very well developed. They are changing through the course of time and life experiences. All of the characters are not predictable and everyone mentioned in the book plays big part in Katniss’s life. Everyone from Rue, Avoxes, Cinna, prep team to Haymitch affect Katniss and decisions she makes. Only person I felt was little bit left out was Prim. I wish there was more interaction between the sisters. All of the books are fast paced and easy to read. Quarter Quell in Catching Fire was the only part when I didn’t read with full enjoyment. I just wanted to get it over with, it felt like deja vu even thou the arena, tributes and the situation were different. I admit I wasn’t rooting for Peeta. I didn’t really like his character from the very beginning. He loves Katniss with all his heart but that’s all there is to him. He’s a good person and a great spokesman but he never has strong opinions about life and what’s going on in Panem. That’s why President Coin wanted to rescue him instead of Katniss from the arena – because he would never disobey the orders. I think Katniss becomes so attached to him because he gives her stability and comfort, something she was taken away when her dad died and mum became distant from the world. Peeta always worries about her, constantly tries to protect her but instead he becomes her burden at some points. I sometimes felt like he didn’t have faith in her. I feel that Katniss and Gale where great friends not by accident. They were very similar people. Both survivors and fighters. Gale played completely different role than Peeta in Katniss’s life. He was rooting for her, motivating her and staying by her side no matter how dangerous decisions she made. Gale doesn’t fight for Katniss and her love. He knows her too well so only says ‘she will choose whoever she’ll need in order to survive’. And I think that is what happens. She’s at home back in 12, depressed, lonely and suicidal when Peeta shows up. She doesn’t exactly choose him herself but he gives her comfort and that’s what she needed to survive after what she’s been through so she just settles for him. Overall I really enjoyed reading all of the books and I’m kind of sad it’s finished now. I liked how the story and characters were developing throughout the books and Katniss killing Coin instead of Snow was a great ending. Katniss’s character, her thoughts, worries, dilemmas and everything else going through her head were very realistic and not predictable. Descriptions of rebellion, propaganda and war were very realistic. There was no sugarcoating which I think made the book such a success not only amongst the youngsters but also the adults. This is my first proper review so I hope it wasn’t too bad. Please don’t be offended if you’ve got different opinions, this is just my own view on the book.